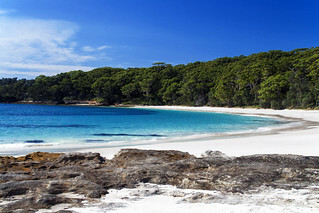 Jervis Bay and The Shoalhaven Photography Prints for sale. Products, Gifts and Souvenirs also available in the shop. If you would like to purchase any of my work via direct download please use the contact form on this site. Include the title of the print you wish to purchase. Payment is via paypal. Use the PURCHASE BUTTON just below this text and your high resolution file will be sent to your email address upon payment confirmation. You can view my work through my Flickr account. Thank You. All prints are $35.00 AU Products are available at the zazzle shop. If you like my work you can support me buy buying a cup of coffee. You Loved It, Amanda Sold It ! waters are some of the worlds most beautiful beaches. Teeming with wildlife it is a protected marine park. ALL OF MY PHOTOGRAPHY AND DESIGNS ARE AVAILABLE FOR PURCHASE VIA DIRECT DOWNLOAD. DIRECT THROUGH ME ...CONTACT ME using the form on this site. thanks so much!. All Photography, Art & Designs © Amanda Rain 2007-2019. Not for use on any other site unless you have permission from me and a link back to this blog is required. thanks ! All Photography, Art & Designs. Copyright Amanda Rain 2007-2019. Awesome Inc. theme. Theme images by Ollustrator. Powered by Blogger.